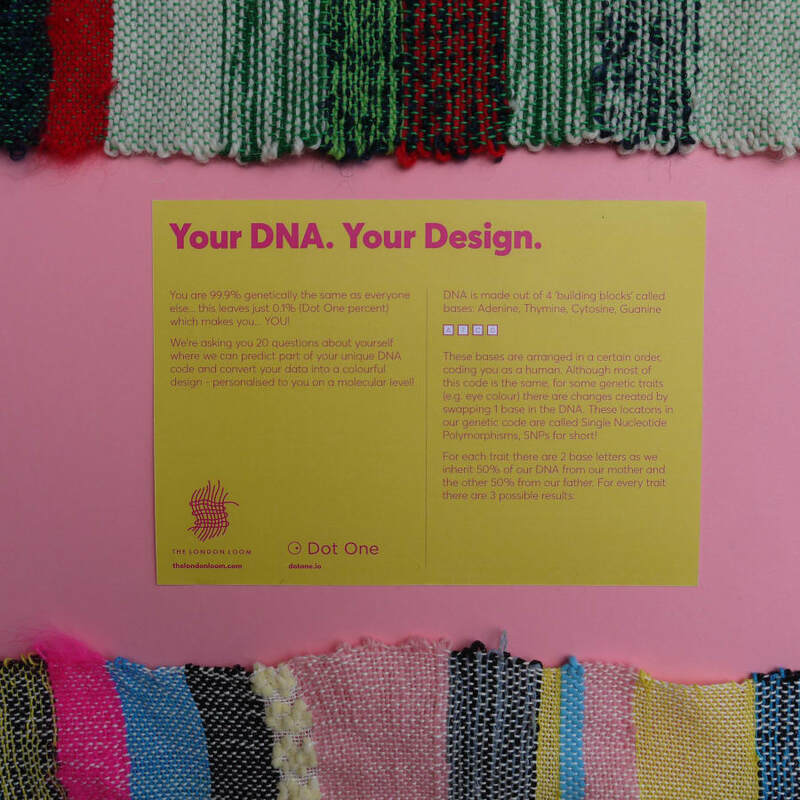 We’ve partnered up with the brilliant brains of Iona at Dot One to bring you a day of weaving your genes into a handwoven cloth to hang proudly at home! Deoxyribonucleic acid is one of the only science words I remember from GCSE chemistry – that and potassium permanganate (because it was purple). I used to like saying it over and over again “Deoxyribonucleic acid” “Deoxyribonucleic acid” (thank Barbra for copy and paste, I can say it but I can’t be bothered to type it 3 times). 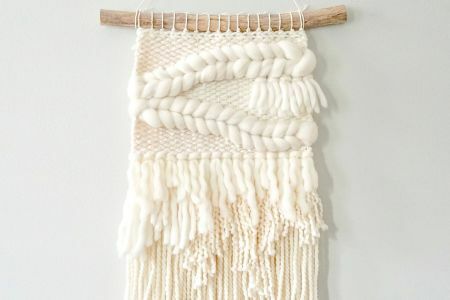 Working in craft, I never thought I’d get much use of my favourite science words but here I am, running a weaving studio and typing all about it. Oh DNA! 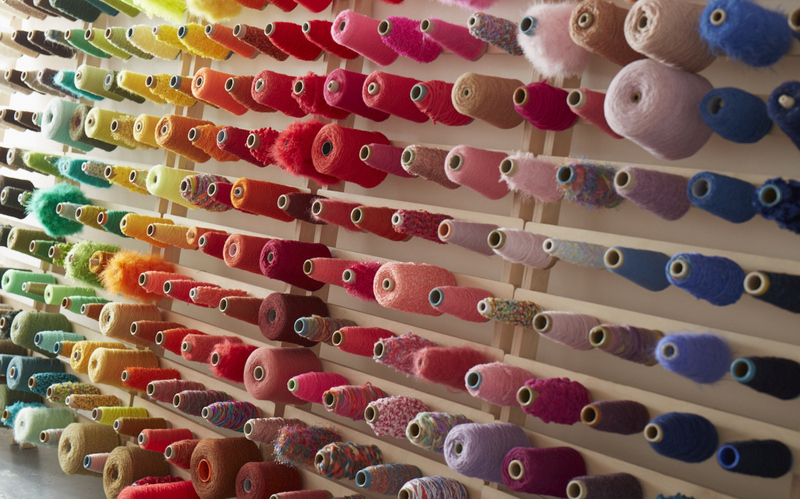 There’s room for you in the studio, after all – you’re the very thing that makes us make! 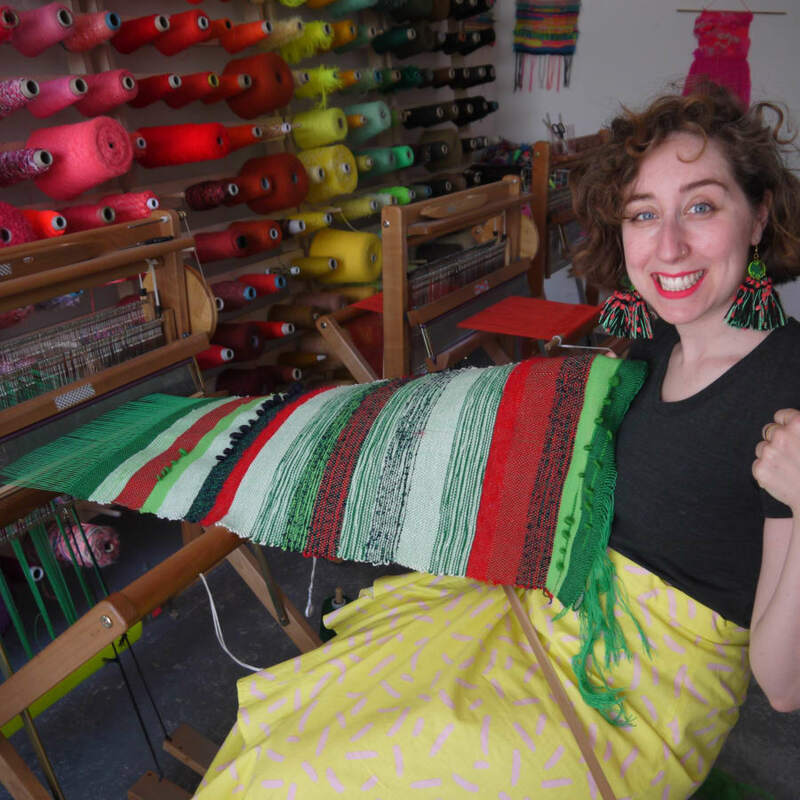 We’ve partnered up with the brilliant brains of Iona at Dot One to bring you a day of weaving your genes into a handwoven cloth to hang proudly by your family portraits. 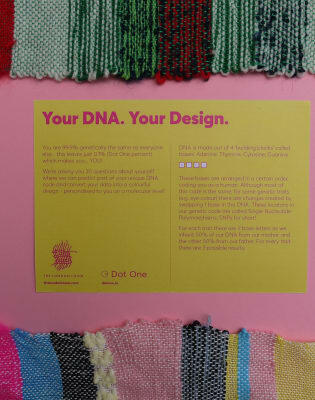 Dot One treats your genetic code like a family tartan, by using the four building blocks of your DNA as colour ways, you’ll create a piece of woven cloth to represent your unique code. Without needing to take an actual DNA test we will be predicting part of your genetic code based on your physical and behavioural traits. Focusing on 20 different genetic traits, each person’s cloth will look as unique as they do! This is a wonderful workshop to do with children and family members to compare and contrast – a lot of “remember that time Mum made that coriander pie, gross!”, “Oh actually sis, I really liked it!” That kind of thing. 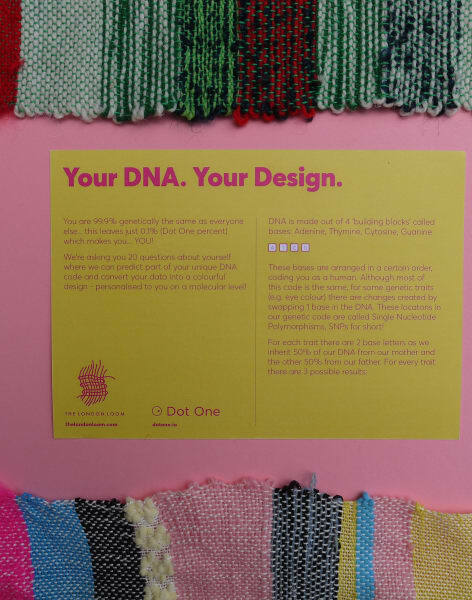 Iona is a designer with the internal organs (and genetic code) of a science geek; spending the last 3 years working in the world of genetics and building her startup, Dot One. 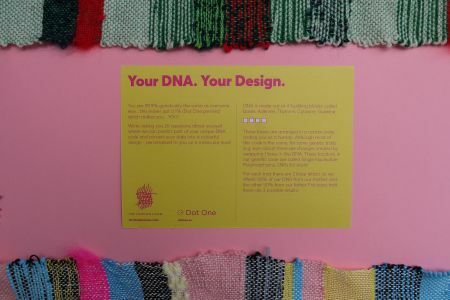 Listed as one of the most influential Londoners in the Evening Standard’s Progress 1000 Science and Technology sector, she’s passionate about using design to educate people about their most personal data…their DNA. 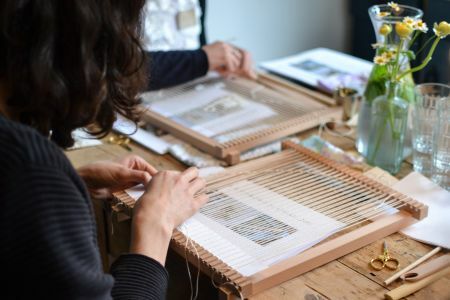 This workshop is two hours long, you will take home your genetic chart, a yarn reference guide (so you can read your cloth code), a Dot One booklet explaining your results and your unique handwoven cloth. Did you know that Francesca and Brooke have matching genes? And also matching jeans.